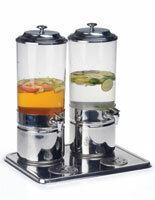 This non-glass holder, plastic drink dispenser is the ideal beverage accessory for a wedding, buffet, or outdoor party. 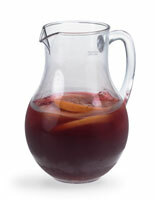 The elegant design holds more than a gallon of punch, juice, or cocktail. 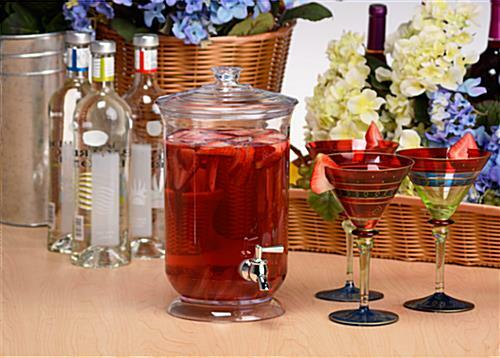 This non-glass drink dispenser with twist faucet is great for small party gatherings. 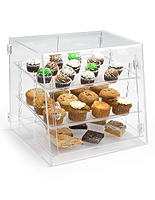 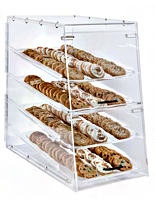 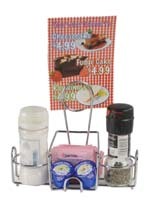 Alternatively, buying this unit in bulk makes the item ideal for larger commercial events. 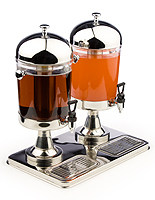 This non-glass drink dispenser that is for buffets is lightweight and small which allows for displaying multiple units at beverage stations throughout your event. 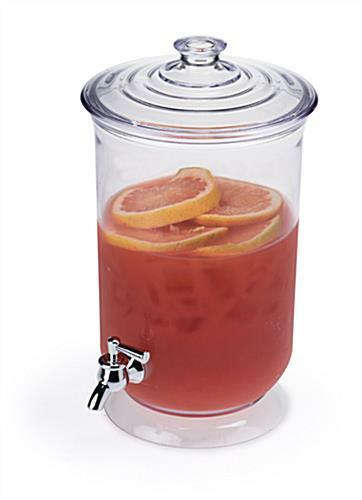 Keep guests hydrated by placing beverage holders at various locations throughout your hotel or party! 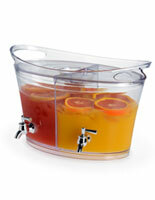 This drink dispenser that sits on the countertop makes a great addition to any buffet table. 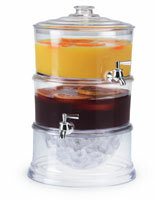 Offer different juice varieties side-by-side by placing the holders in a line! 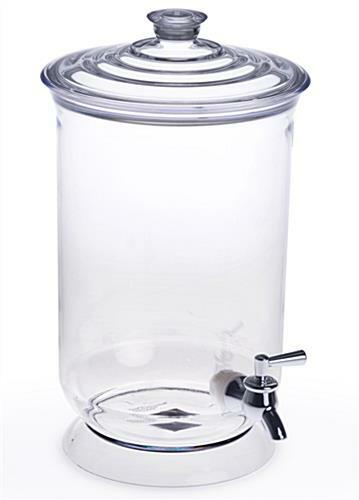 7.3" x 12.5" x 8.3"